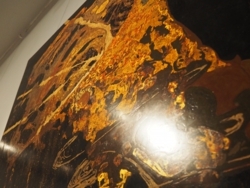 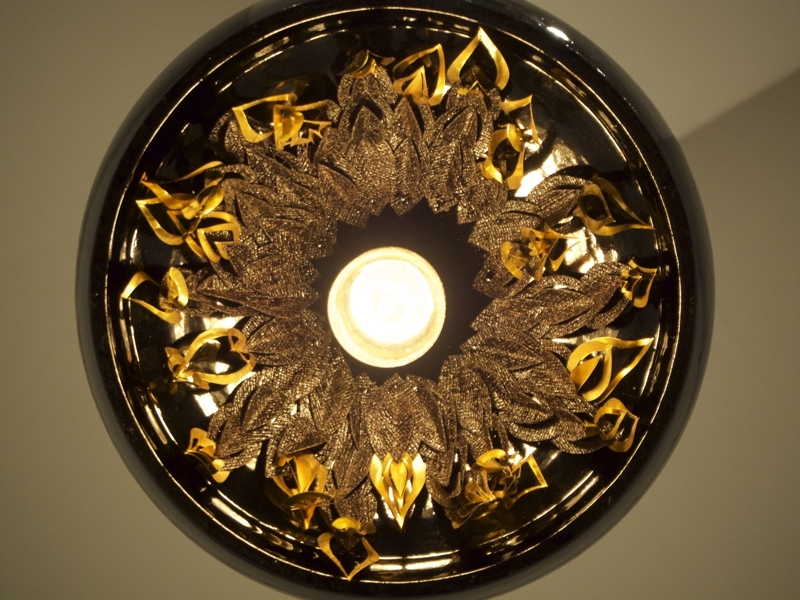 Over 50 lacquer art works from Thailand, Japan, Cambodia, China, Myanmar, Taiwan, Vietnam, the U.K. and USA were exhibited. 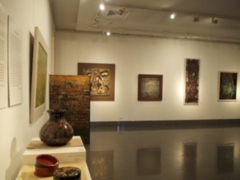 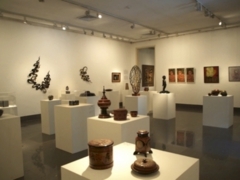 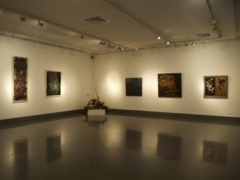 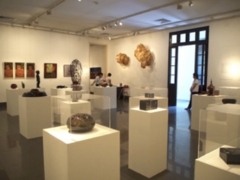 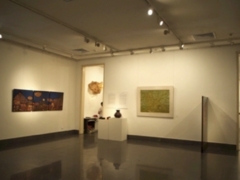 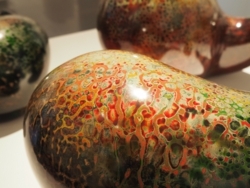 At the Museum of Fine Arts, lacquer artworks from Vietnam, Japan, Cambodia, China, Korea, Myanmar, Taiwan, Thailand, the UK, and the USA were exhibited. 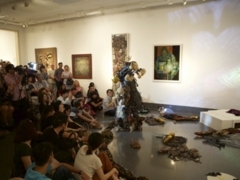 A wide variety of expressive works using diverse designs and techniques were showcased. 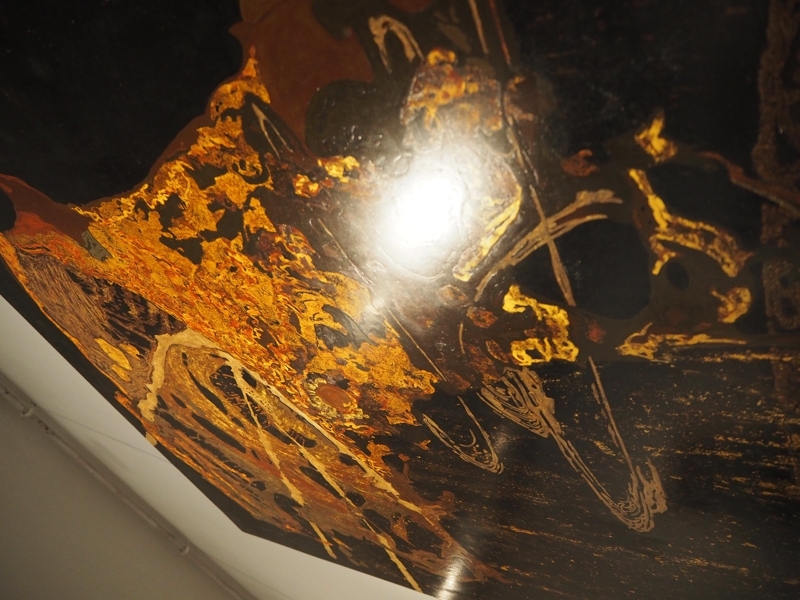 Text panels explaining the current state of lacquer arts and crafts in each country were displayed along with the art works. 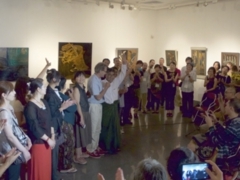 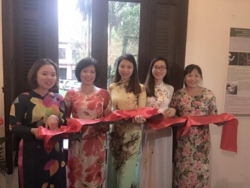 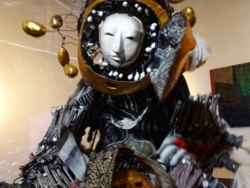 Many Vietnamese lacquer painters, artists, artisans as well as foreign residents, tourists and people interested art and Japanese culture visited the exhibition. 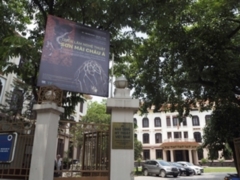 Unfortunately, Hanoi was hit by a typhoon on opening day. But the turnout was above expectations with many local and foreign residents in attendance. 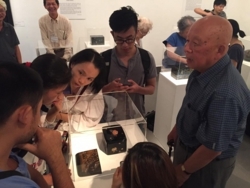 Director Sakurako Matsushima, Vietnamese organizer Trinh Tuan, and Mr. Vi Kien Thanh (Director The Department of Fine Art, Photography and Exhibition, Ministry of Culture, Sport and Tourism) made opening remarks. 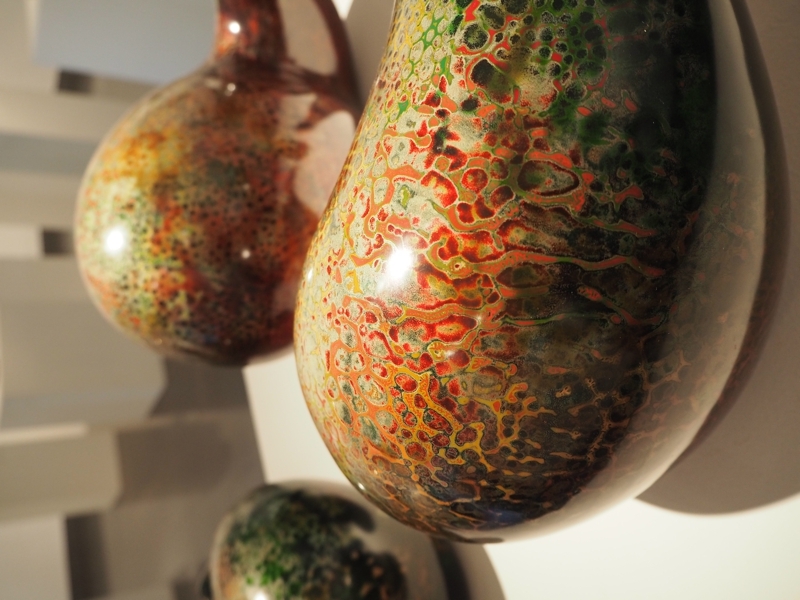 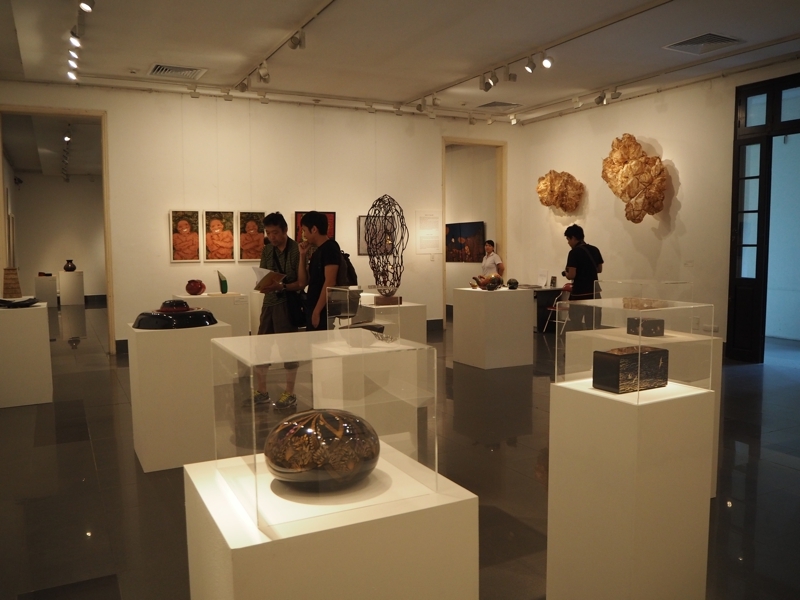 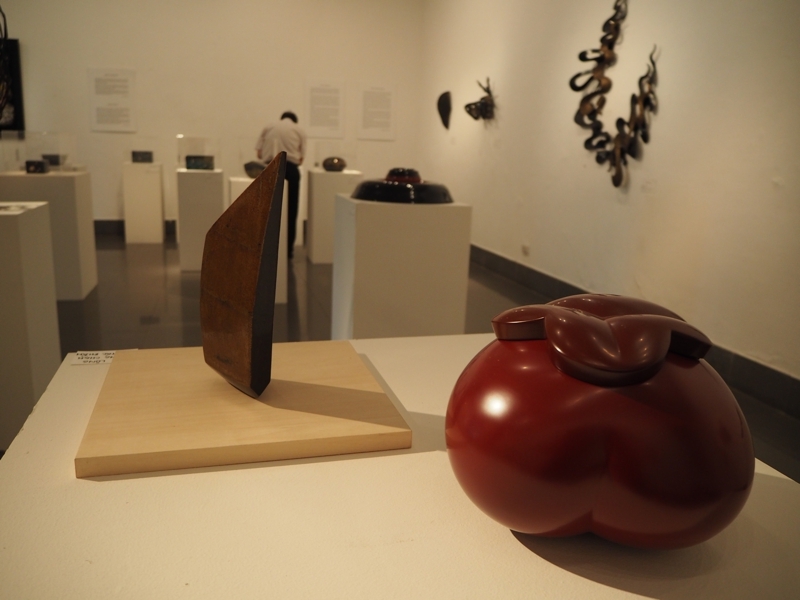 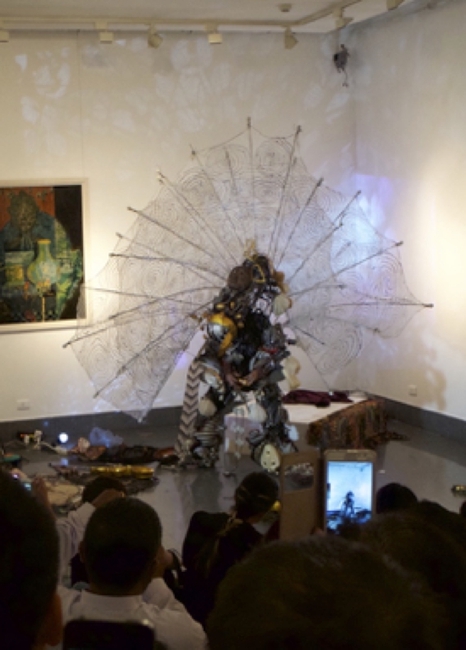 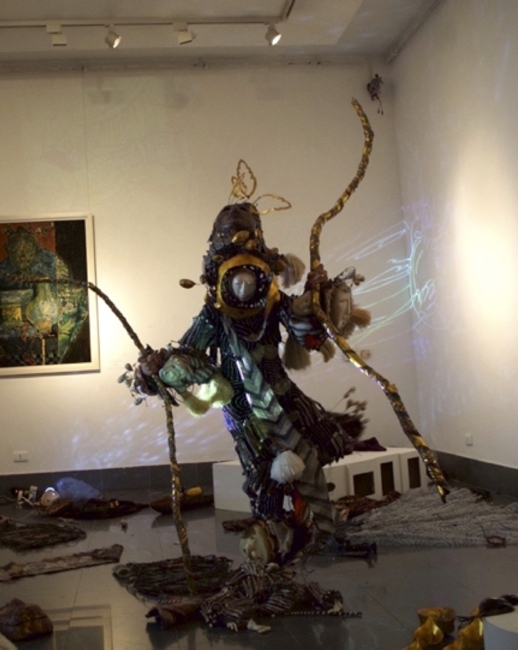 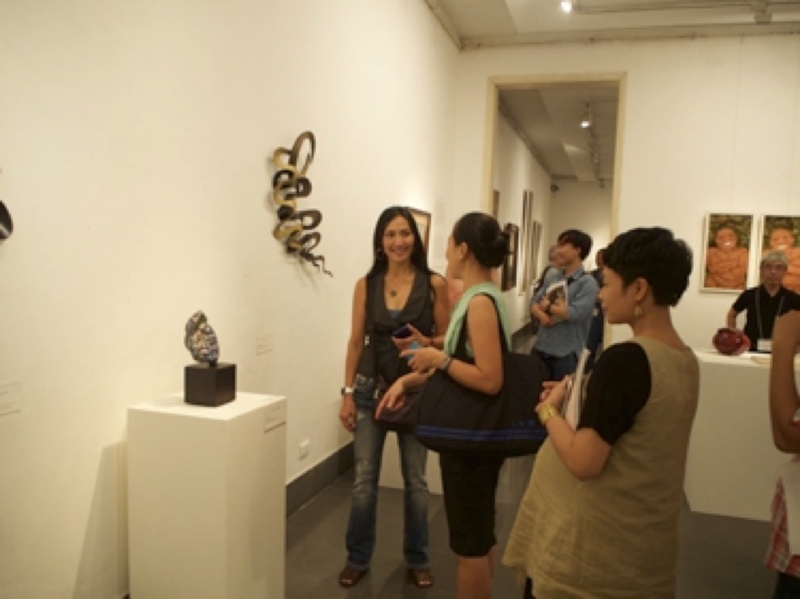 Artists, participants, and the public admired the artworks and discussed lacquer art and culture. It was a fine evening and a good opportunity for those present to get to know one another. 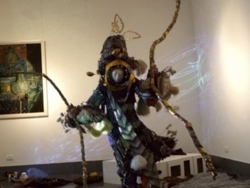 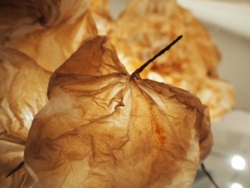 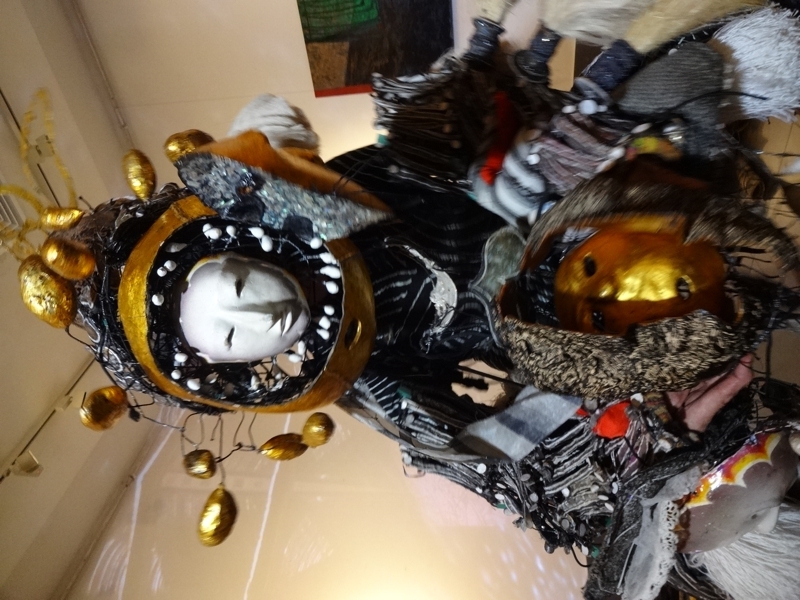 Dance performance “Paper Wings II” by Sha Sha Higby who wore her urushi artwork. 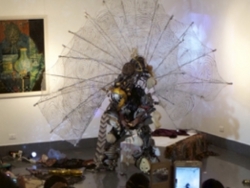 Sculptured-costume performance artist Sha Sha Higby used her own uniquely designed lacquered body sculptures to create a poetic solo performance that was very well received.